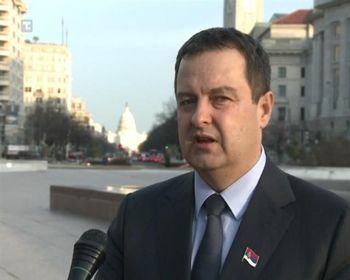 Dacic said after talks with Comey that there is a very good cooperation between the FBI and Serbian law enforcement agencies, primarily the Ministry of the Interior. He said that they discussed the possibility of opening FBI offices in Belgrade, bearing in mind that the FBI has adopted a new budget. The FBI will in the next six months consider this proposal or will at least send its experts for cyber crime and the fight against cyber-terrorism to Belgrade, Dacic said. The Prime Minister said that the meeting touched on the most important issues of vital national and state significance related to cooperation in the fight against extremism and terrorism, especially against radical Islamism. Dacic said that they discussed the exchange of information through cooperation of our services for high-tech crime and cyber terrorism, taking into account that a large number of people from our area join extremist groups, especially now in Syria, which poses a threat to peace and safety of the citizens in our region. He said that they talked about holding a regional conference by the end of the year. In addition to the FBI director, the conference would be attended by ministers of the interior and police directors from the region. 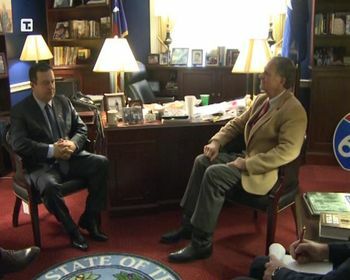 Also, Dacic met with head of the Serbian Caucus in the Congress Ted Poe and thanked him for his caucus’ activities adding that there is a large number of US congressmen and senators who want to hear an objective picture of Serbia. We agreed that a group of senators and congressmen come to Serbia by the end of the year to see the great progress Serbia has made, not only on the path of European integration, but in general, in the reform of our political system, the Prime Minister concluded.